Four wildfires around and south of Possum Kingdom Reservoir have burned about 150,000 acres as of Tuesday and destroyed at least 149 homes. The fires, powered by heavy winds and fueled by dry brush, show no signs of easing. The Possum Kingdom fire is the fifth blaze of at least 100,000 acres around Texas reported in the past two weeks. It is comprised of a complex of four fires that includes: the Possum Kingdom East and West, Jackson Ranch and Hohertz fires. The Texas Forest Service said Tuesday night that assessment teams have confirmed the loss of 56 homes at Sportsman World, 37 homes at Gaines Bend and 24 homes at Hog Bend. A church and a restaurant have also been reportedly destroyed. 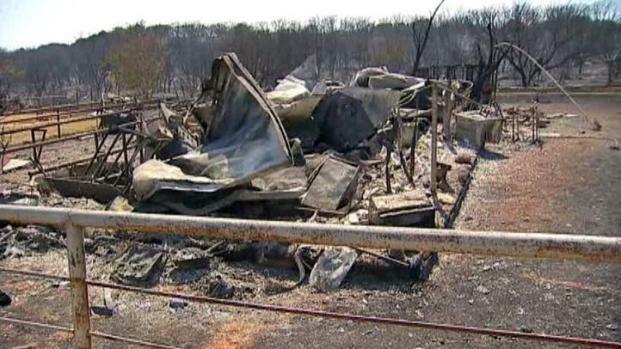 The massive fire at Possum Kingdom has destroyed at least 149 homes. But so many structures have burned, authorities don't have an up-to-date tally. Most of the state is in extreme drought, and wildfires in the past week alone have burned more than 1,000 square miles of parched Texas ranch land -- an area that combined would be the size of Rhode Island. On Monday, flames touched off a storage building filled with fireworks, said Palo Pinto County Judge David Nicklas. No injuries were reported. The Texas Forest Service said the four fires, which have been dubbed the "Possum Kingdom Complex," are burning in close proximity to each other, and some have burned together. The PK Complex is only 25 percent contained, the forest service said Monday night. The heat from the flames grew so intense Monday that it sent cinders high into the atmosphere, where they became icy and fell in a process called "ice-capping," DPS Trooper Gary Rozzell said. "They tell me it's like a roof falling in," he said. Officials say it's like nothing they've ever seen, hundreds of firefighters are working around the clock trying to get the fire surrounding Possum Kingdom Lake under control. Graford and Palo Pinto, including the Palo Pinto jail, were evacuated Tuesday. Vicki Etheridge and her 6-year-old daughter were among the last to evacuate Palo Pinto. "Look, I've never seen anything like it," she said. "It's scary. It's heartbreaking." 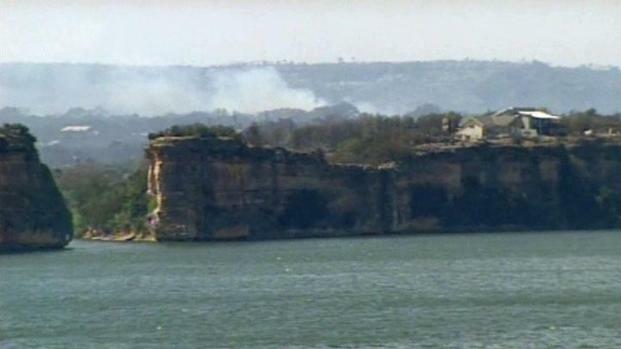 Raw video of wildfires and wildfire damage at Possum Kingdom Lake shot by Chopper 5 on April 19, 2011. Possum Kingdom Lake is closed to recreational boaters. Only emergency crews have access to the lake and the roads around it. Violators will face fines. In West Texas, rugged, hilly terrain north of San Angelo was complicating efforts to bring the Wildcat Fire in Coke County under control. 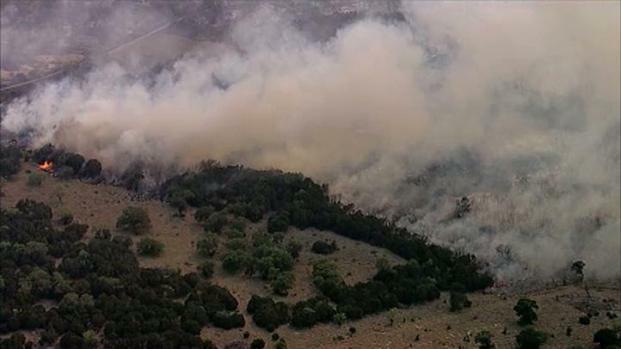 Forest Service says two fires near Possum Kingdom Lake that have joined have burned more than 45,000 acres. However, firefighters gained ground on it Monday after using "burnouts" on Sunday to clear out fuel needed by the advancing flames, according to Texas Forest Service spokesman Oscar Mestas. He said some scattered rural areas were evacuated as a precaution, but no homes were reported destroyed by the 105,000-acre fire. 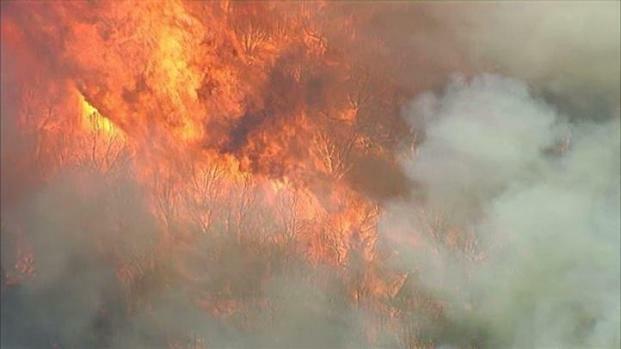 The Texas Forest Service said Tuesday night that the blaze was 10 percent contained. Two people who apparently wanted to see the fires from the air died when their single-engine biplane crashed near San Angelo, Federal Aviation Administration spokesman Lynn Lunsford said Monday. A Fort Worth couple is waiting to find out if their summer home on Possum Kingdom Lake has survived wildfires surrounding the lake. Witnesses told investigators the two-seater took off from Mathis Field/San Angelo Municipal Airport on Sunday and that the two people on board, whose identities had not been released, indicated they wanted to go on a sightseeing trip over the wildfire, Lunsford said. The wreckage was found Monday east of San Angelo. In Austin, some residents of a neighborhood in the southwestern corner of the capital city returned Monday to find charred ruins of their homes after a wildfire a day earlier. The blaze destroyed 10 homes in the affected area and significantly damaged 10 others, and those numbers are likely to rise as fire officials continue searching the area, said Austin Fire Department spokesman Palmer Buck. David and Kris Griffin returned home from out-of-town weekend trips on Monday to find that their house was one of at least 20 in their Austin neighborhood destroyed or nearly destroyed by a weekend wildfire. Nearly all of their possessions went up in flames, and George, their cat of 11 years, was missing. Making their loss even tougher to grasp, the homes on both sides of theirs survived relatively unscathed. "All the other houses got saved except ours ... we're just kind of speechless right now," said Kris Griffin. 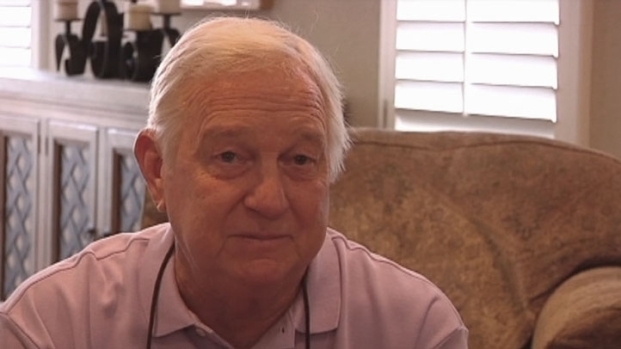 She said finding the cat was their priority, because their possessions were replaceable. Authorities charged a 60-year-old homeless man with arson on Monday, saying he defied a nearly statewide burn ban and left a campfire untended Saturday. Fire officials say wind-blown embers ignited the blaze, which spread quickly through a suburban-like area of southwest Austin and forced the evacuation of about 200 homes. State officials said Tuesday that wildfire burning about 70 miles from the Dallas-Fort Worth area has blackened an area twice as big as previously estimated, and that strong wind gusts and hot temperatures are making it tougher to fight the blaze. NBC DFW's Julie Tam and Scott Gordon contributed to this report.